A small town located to the south of Surabaya, known also as vacation city. The entire area of Batu is surrounded by mountains and hills: Mount Welirang and Arjuna are at the north. 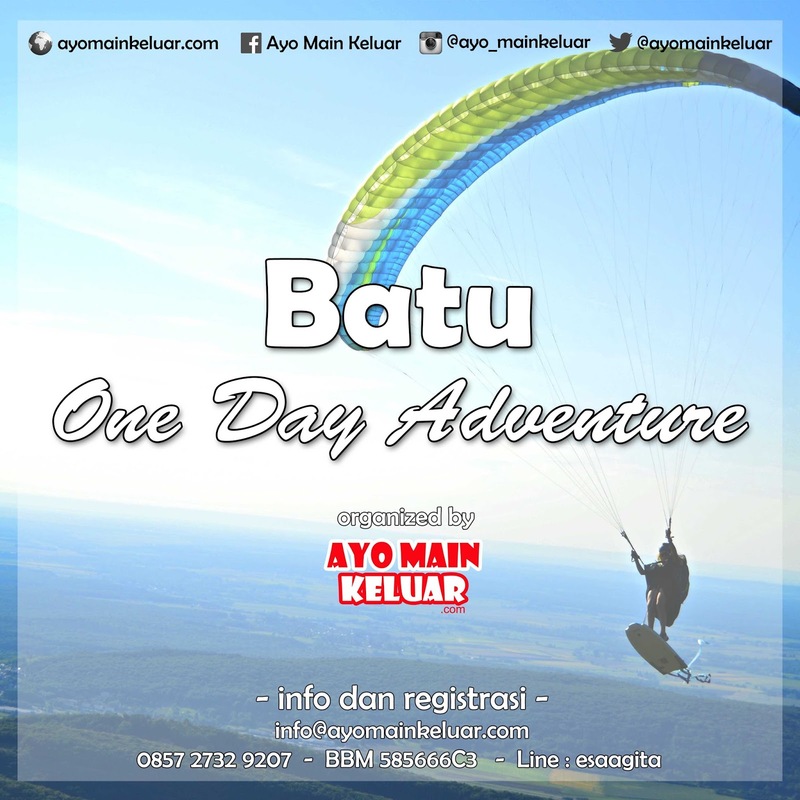 To the south is mount Panderman, to the west lies mount Banyak (a paragliding side often used for national and international level competition). For you who love unusual sport, adrenaline junkie, get sensation of catching white-clouds, or even fly and soaring like an eagle, brace yourself to taste the fresh air of Batu from the sky flying in paragliding. You will be accompanied by the instructor so that no reason to worry and enjoy the riding. Keep your spirit to continue the adventure and embark yourself on inflatable boat at noon. Sail through a river of 7, 5 km (2 hours) and get five Booms (elevation 1-3 m), degree of difficulty level 2-3. We provide full standard equipment’s: helmets, life vest, paddle, guide, and team rescue. It’s rafting time!